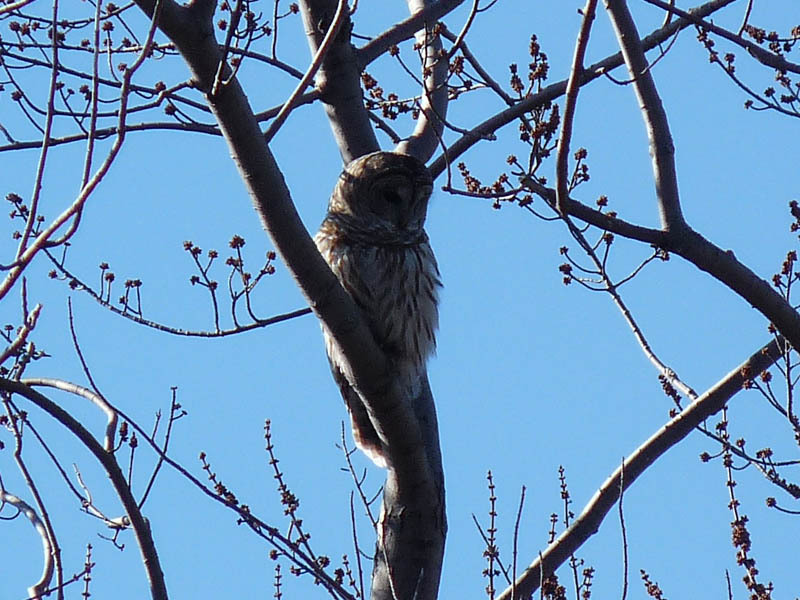 Well, the Barred Owl that was at the Jarvis Bird Sanctuary in Lincoln Park on March 22 wandered north to Montrose (Montrose is about a mile north of Jarvis). This is a big deal for us, the first confirmed Barred Owl record for Montrose and one of only a handful of records for Lincoln Park. Hard to believe I know, but Barred Owls are rare in Chicago; chalk it up to a lack of extensive forest in the city. The bird was viewed and photographed by many. A big shoutout to the mob of American Crows for locating it. To see a list of the birds recorded at Montrose, refer to the Montrose List page. This entry was posted in Rare Birds, Spring Bird Reports and tagged Barred Owl, Owls on March 23, 2019 by rhughes. 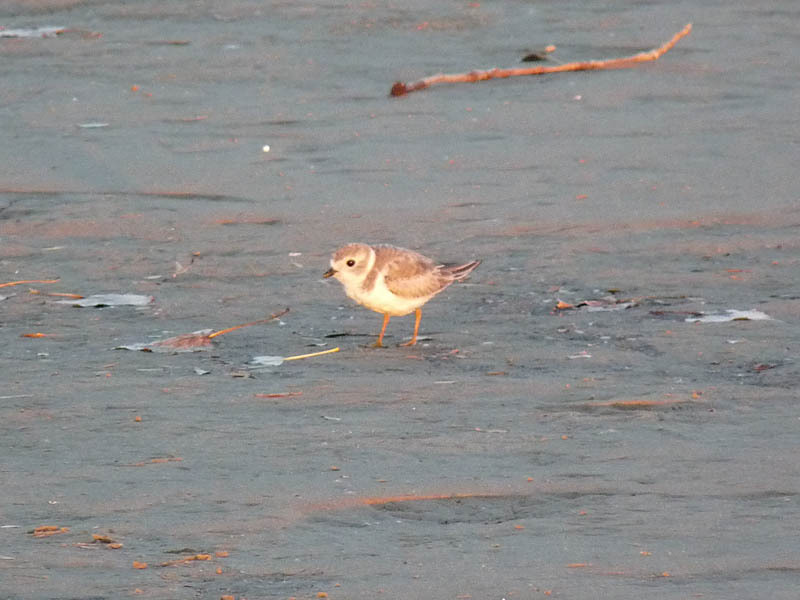 A very late Piping Plover was at Montrose Beach on October 18. The bird has been present for a couple of days and represents the latest record of this species for Montrose. While the Piping Plover was the best bird it wasn’t the only goodie. I tallied 59 species in about 3 hours of birding, highlighted by Short-eared Owl, the continuing Eastern Wood-Pewee, and a female Black-throated Blue Warbler. Link to my eBird checklist below. This entry was posted in Fall Bird Reports and tagged Black-throated Blue Warbler, Eastern Wood-Pewee, Flycatchers, Owls, Piping Plover, Shorebirds, Short-eared Owl, Warblers on October 19, 2018 by rhughes. This is why it pays to keep birding in June (and why it also pays to track down complaining blackbirds). I was at Montrose on June 7, looking for late migrants and any oddball birds that might show up. Montrose holds late migrants better than most places and I try to keep birding it until the second week in June or so. At about 8:00 a.m. I heard some Common Grackles and Red-winged Blackbirds making a major league ruckus over something in the trees not far from where I was. I walked over to where they were, expecting to see a Cooper’s Hawk or something else mundane. When I scanned the trees where the blackbirds were I saw a Barn Owl, looking very agitated. I took a few photos, admired the bird for a bit, and walked away. The blackbirds were mercilessly harassing the owl and I didn’t want to stress it any further. After a few minutes, I stopped hearing the blackbirds complaining, so I don’t know if the owl settled in or flew off to calmer pastures. This is about the 5th Barn Owl I’ve seen at Montrose in the 40 years I’ve been birding there. The Barn Owl was the highlight today but there were also a few late migrants, mostly flycatchers and shorebirds. See my eBird checklist below for details. This entry was posted in Rare Birds, Summer Bird Reports and tagged Barn Owl, Owls on June 7, 2018 by rhughes. 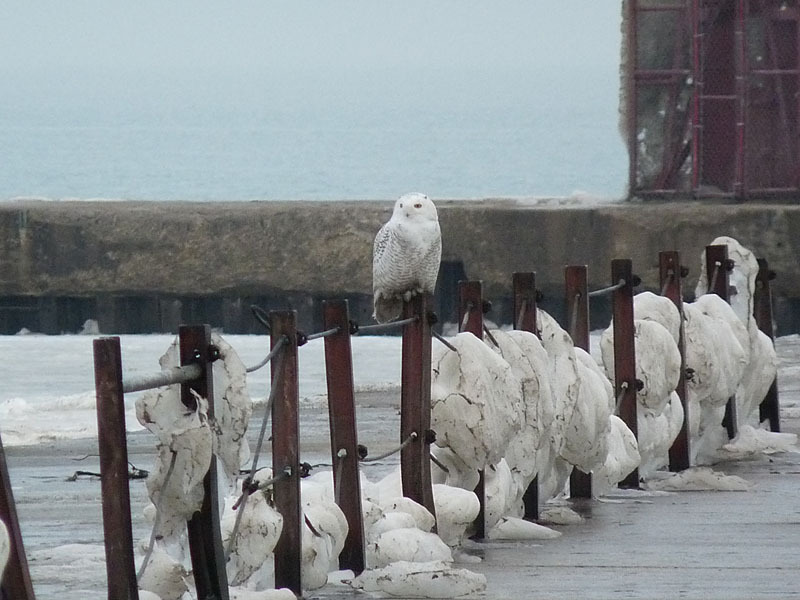 I had a Snowy Owl at Montrose this morning, February 17. This is the first Snowy Owl I’ve seen at Montrose in several weeks, my last sighting being January 21 (see the post below). The bird was at the end of the fishing pier, the first place you should look for Snowies if you visit Montrose to look for them. While I was watching the Snowy, an adventurous (foolish, really) young man walked all the way to the end of the pier and flushed the bird a couple times. Most of the pier is still covered in ice and snow and most definitely treacherous to walk on; a person could easily end up going for a swim in Lake Michigan if not careful. The only other birds of interest I saw this a.m. were a White-throated Sparrow and a Swamp Sparrow, both feeding with House Sparrows near the main entrance to the sanctuary. This entry was posted in Winter Bird Reports and tagged Owls, Snowy Owl on February 17, 2018 by rhughes. 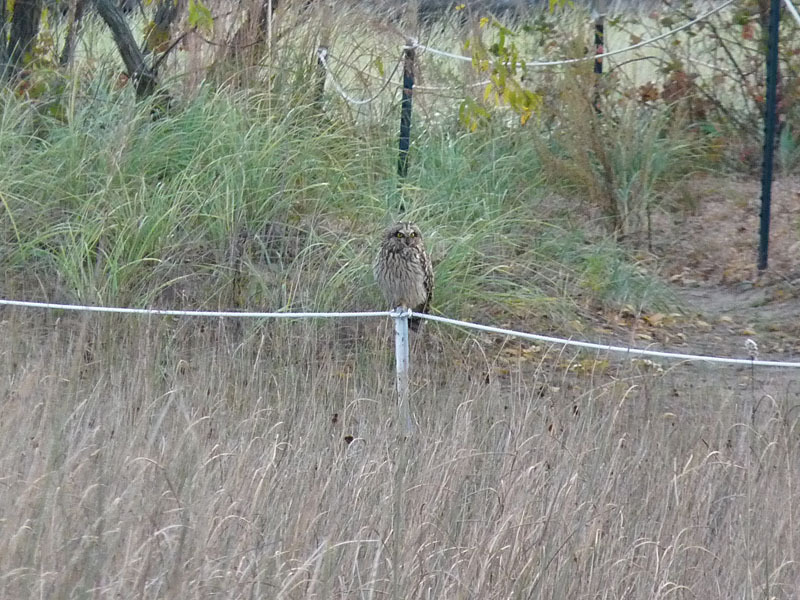 I had a fine morning of birding at Montrose today, October 28, highlighted by 3 Short-eared Owls in the dunes, including this perched individual. This may be the first Short-eared I’ve seen at Montrose that wasn’t flying. Days with brisk west winds in late October are best for seeing these birds at Montrose. This entry was posted in Fall Bird Reports and tagged Owls, Short-eared Owl on October 28, 2017 by rhughes.